Court fee for divorce increased. What are the alternatives. 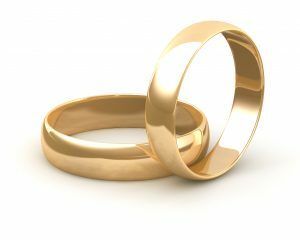 The 2016 budget was quietly followed by a sharp increase in the issue fee for a divorce from £415 to £550 as of 21.3.16. Northwich solicitors Stonehewer Moss can help you consider alternatives to the divorce process, some of which may cause you to question whether to proceed with the expense of the court fee. For some time the courts have been directed by their political “masters” to make the service self supporting and it does not take the intellect of a Chancellor of the Exchequer to realise that the law of diminishing returns will necessitate ever increasing court fees. Demographics and government statistics suggest divorce rates are declining while co-habitation increases; can the law applying to the latter group assist those separated when married? Michael is a member of Cheshire Collaborative Family Law Group and can discuss this civilised approach to parting at a no obligation assessment of your family situation and analysis of how the law can help. This article was added on Monday, March 21st, 2016 at 12:09 pm and is categorised under Cheshire News, Chester News, collaborative law, Divorce, divorce finances, Family finances, Family Law, Macclesfield News, northwich solicitors, prenups, Runcorn News, St Helens news, Warrington News, Widnes News, Winsford News. Both comments and pings are currently closed. Error: Error validating access token: Session has expired on Saturday, 09-Mar-19 13:12:58 PST. The current time is Thursday, 25-Apr-19 05:53:24 PDT.